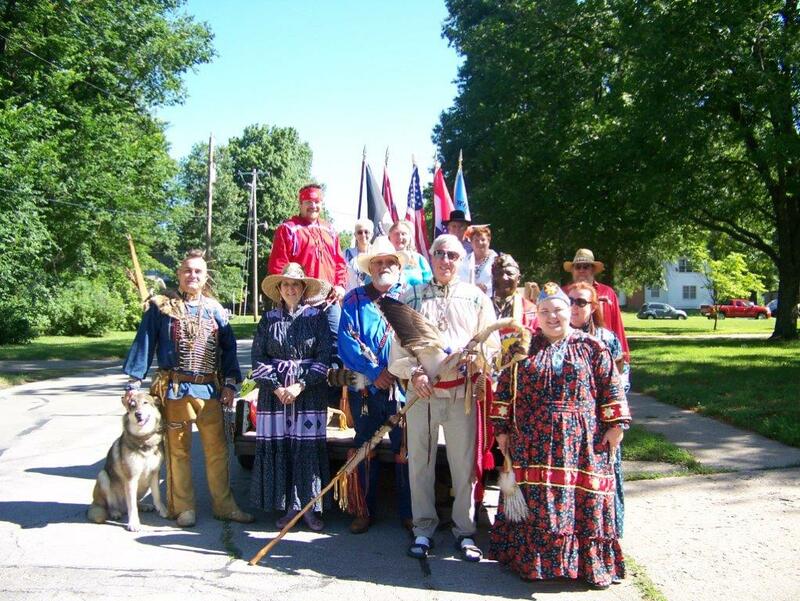 On July 4th, several citizens of the Northern Cherokee Nation participated in the annual Old Glory Days Parade in Clinton, Missouri. 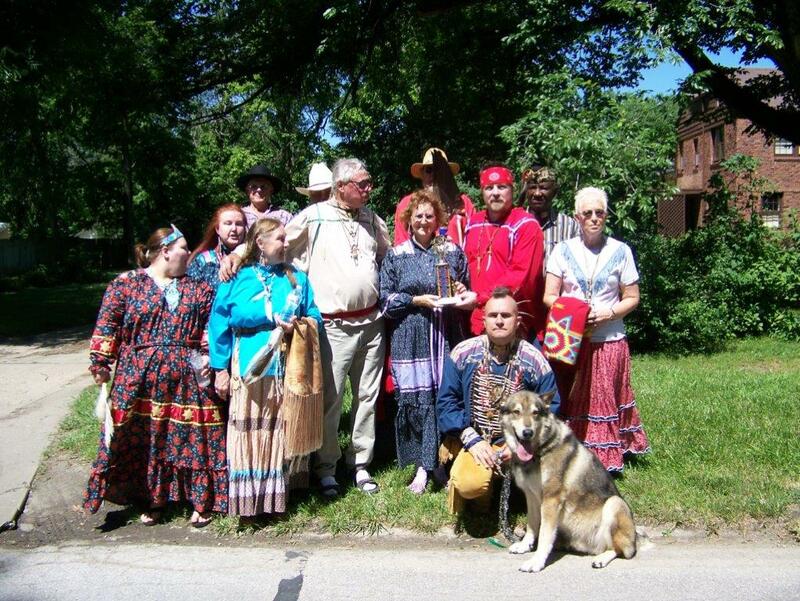 "We are pleased to have won the Best Walking Trophy," stated Chief Grey Elk. 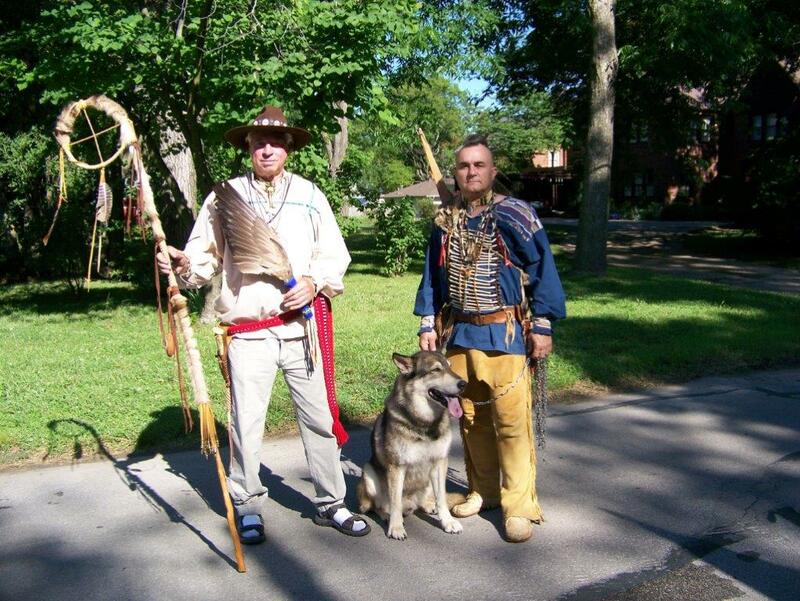 "It symbolizes who we are...a people walking all over the nation." 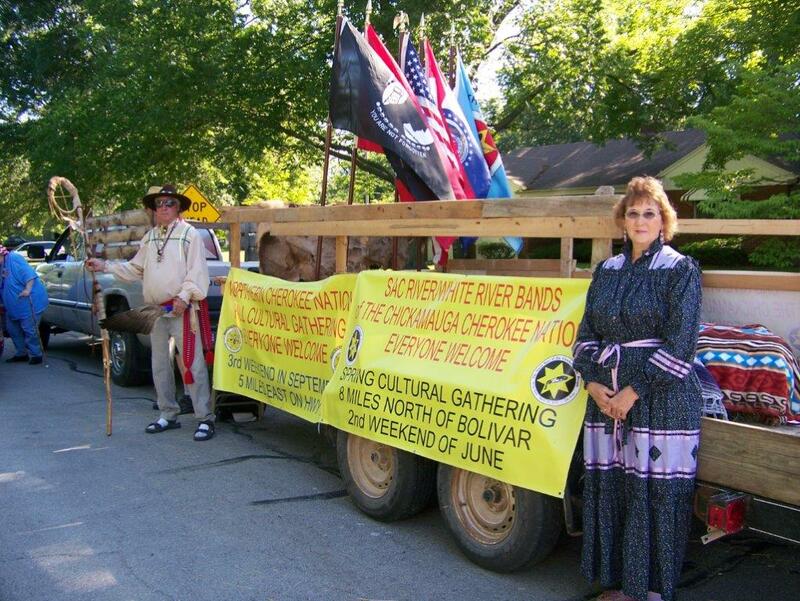 Citizens gathered on Friday, July 3, 2015 at the Tribal Headquarters east of Clinton to decorate a float. Several of the citizens decided to walk along with the float in regalia during Saturday's parade. 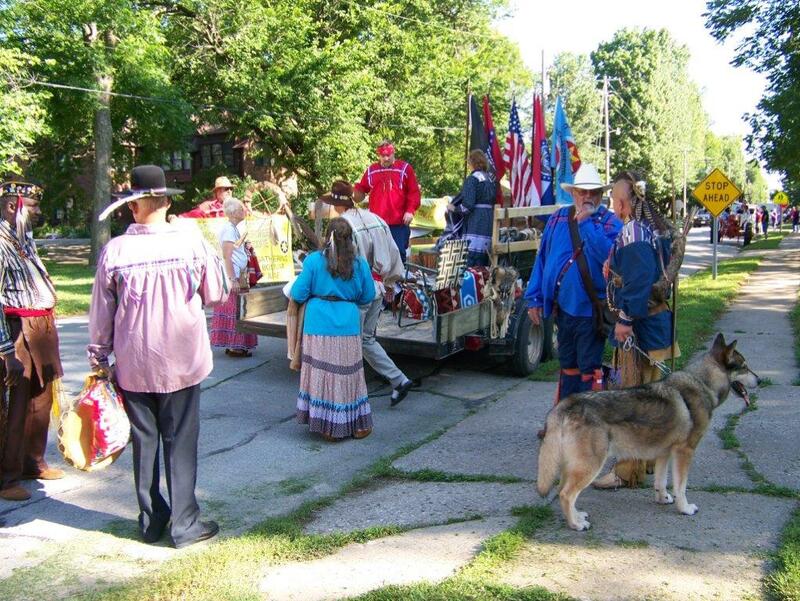 "It is just a great thing to do to participate in the local parade," shared Jane Buffalo Sister Hicks, a local Clinton resident and Northern Cherokee Nation council member. 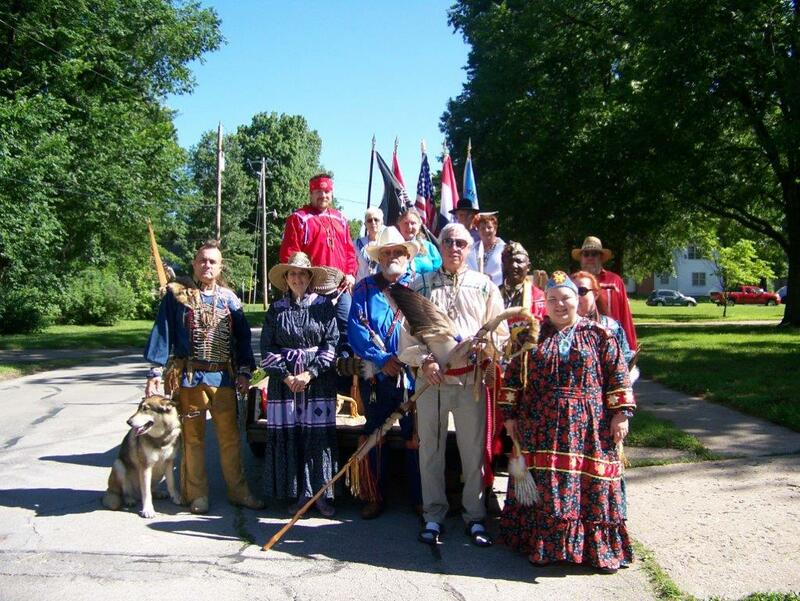 the Olde Glory Days Parade in Clinton, Missouri, on July 5th, 2014. 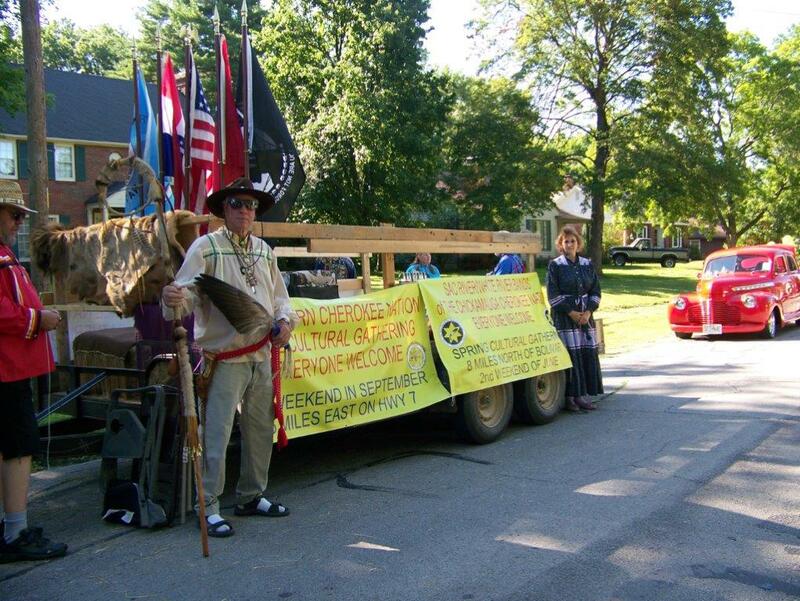 ​The Northern Cherokee Nation and the Sac White River Band joined together in creating a float for the Old Glory Days Parade recently held in Clinton, Missouri. The float won the People’s Choice Award! It was a wonderful time with drumming and throwing candy to the observers. 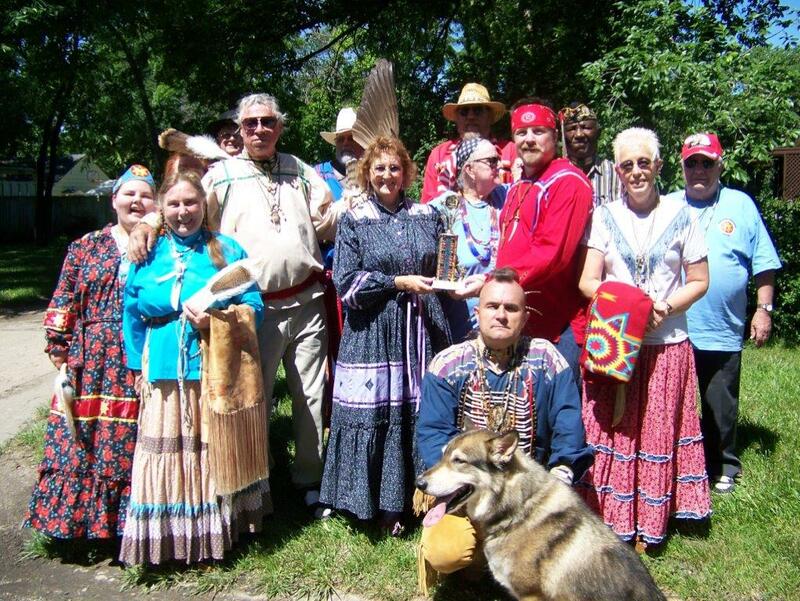 Special thanks to the Sac White River Chief Kay Stockton and her husband Leon; Dan Cantrell and Waya (the Wolf) who loved all the hugs from the children; Abram Eagle Warrior and many others who walked and danced the whole parade route. A special thanks to our Principal Chief Kenn Greyelk who after many hours of driving a big truck still made everything work and created a great time for all the enjoy!